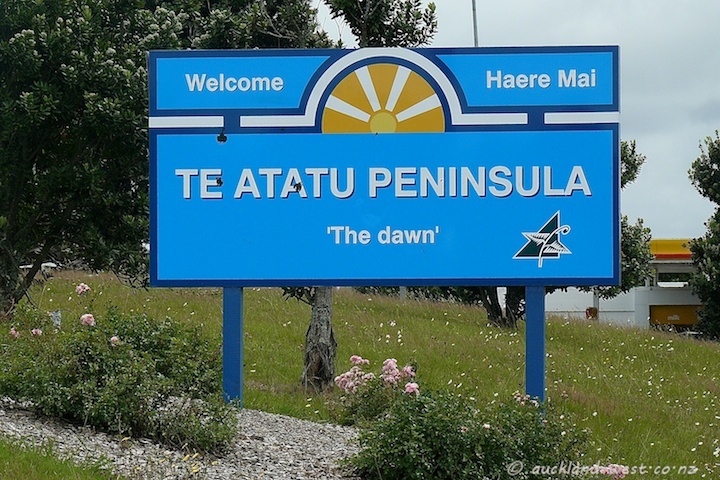 I noticed the welcome signs to Te Atatu Peninsula only a few months ago. I am sure they are part of a serious effort by the Te Atatu Peninsula Business Association to revitalise the suburb — with remarkable success, as it appears to me. 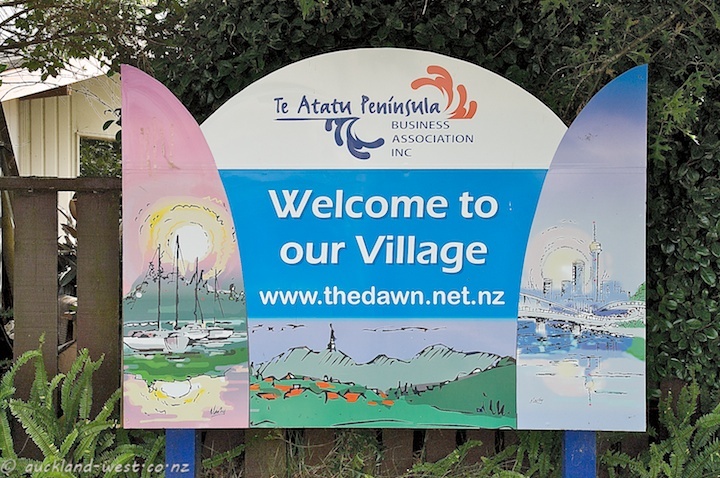 The Maori word “Te Atatu” is often rendered as “The Dawn” in English, and for this village it has taken an aspirational meaning of striving to rise to a new level. An enviable position on a peninsula with lovely walks along the shore, what more could you wish for? I really like the first sign. the dreamy, watercolour effect makes me want to stay and linger….